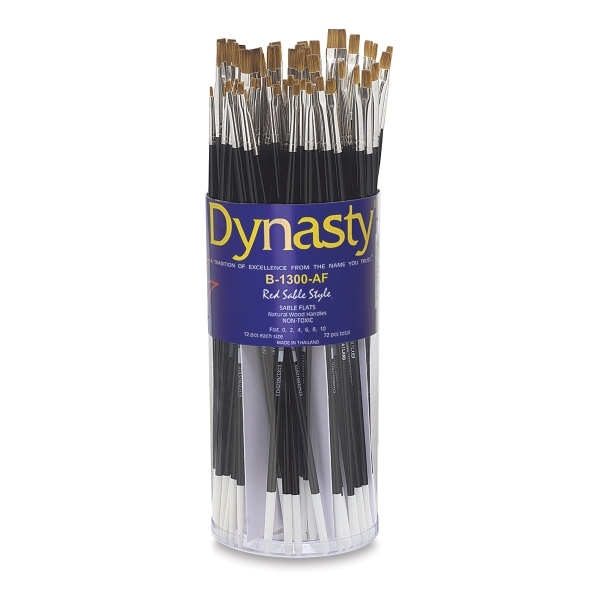 The flat tip on these brushes delivers paint to larger areas, and the brush hair mimics red sable when working with oil and acrylic paints. The long, black lacquered handle offers superb control and features a seamless nickel ferrule and white tip. 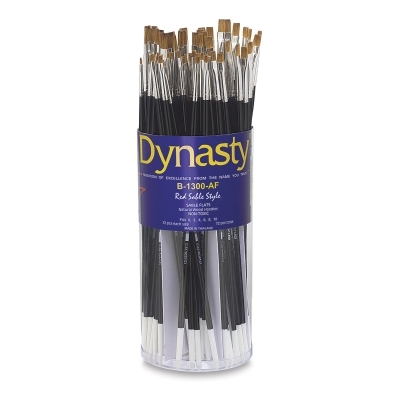 Canister Set of 72 — The value pack canister includes a total of 72 brushes, 12 each of sizes, 0, 2, 4, 6, 8, and 10.